November | 2017 | What Next? you see spools of thread and large wooden pieces kind of like wings of some sort Andrew Kear says David Altmejd likes to see what the unintended will bring to art. He likes to discover what accidents will happen as he constructs an art piece. That makes for the creation of art that definitely makes you think and ask questions and use your imagination. I can hardly wait to show The Vessel to kids. I know they will find all kinds of things in this artwork I haven’t discovered yet. 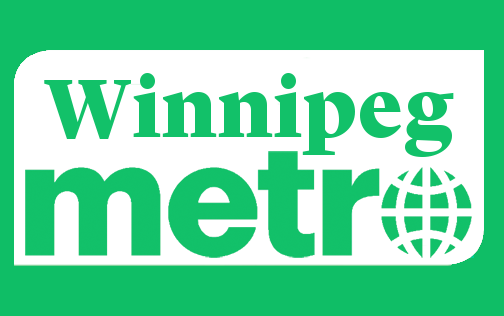 I was sad to read in the Winnipeg Free Press this morning that The Metro newspaper will no longer be published. Truth be told I seldom read the paper but there was this incredibly friendly woman who stood at the bottom of the escalators in Winnipeg Square each morning handing out copies of the paper. She had a cheery good morning or an upbeat “Have a nice day” for every single person that walked by, whether you took a newspaper from her or not. I have passed her a hundred times on my way to work,or coming home from the gym or hurrying to an appointment and her warm greeting always brightened my day. For the people who live and work downtown and who trek through the underground concourse in Winnipeg Square each morning she will no doubt be more sorely missed than the newspaper. Maybe the rest of us should follow her example and take the time to wish at least one or two of our fellow citizens a cheerful good morning as we make our way through Winnipeg Square. It would be a great way to carry on her tradition. I had the winning bid! I am a member of the Manitoba Writers Guild and we’ve been having an online auction to raise funds for our organization. I bid on a selection of children’s books from Portage and Main Press here in Winnipeg and ended up posting the winning bid. It’s a big win for our church library too because that’s where I’m going to place the books. 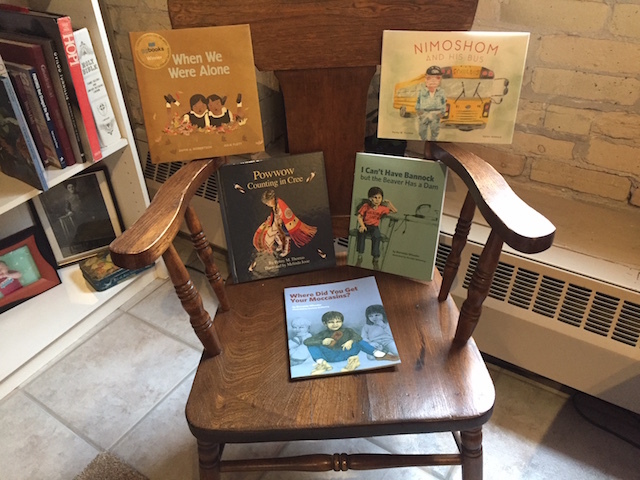 We have been trying to add more books that reflect an indigenous perspective to our library, and while we have quite a good collection of adult books I hadn’t added any indigenous books to the children’s section. Now I can. 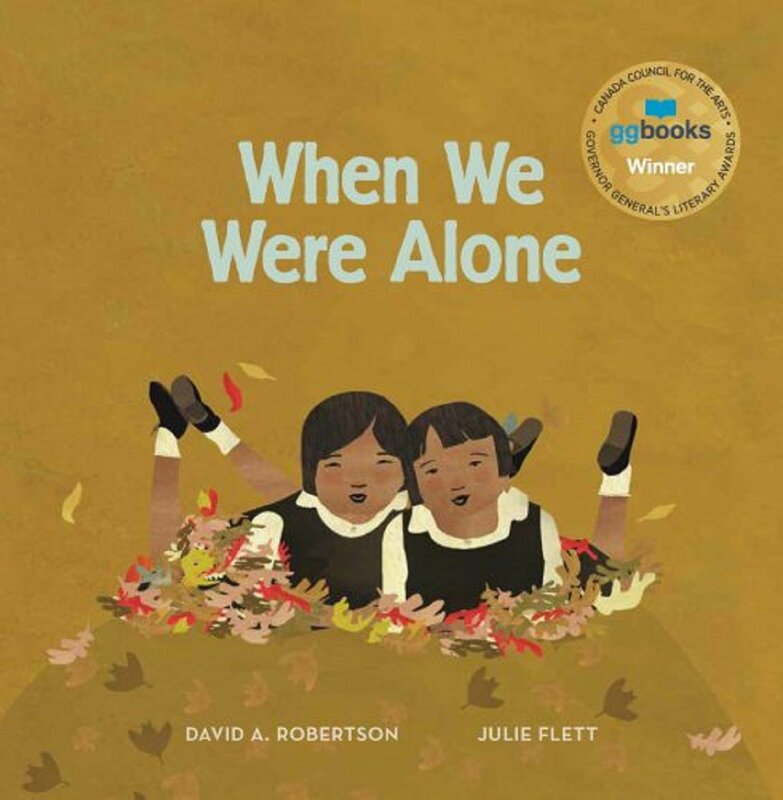 When We Were Alone written by David Alexander Robinson and illustrated by Julie Flett. The book is this year’s winner of the Governer General’s Literary Award. A grandmother tells her granddaughter about her experience in residential school in a way that connects with young children at just the right level largely because it is told in the context of the love that is clearly shared between the grandmother and granddaughter in the story. Nimoshom and His Bus written by Penny Thomas and illustrated by Karen Hibbard was just launched on Thursday night at McNallly Robinson. 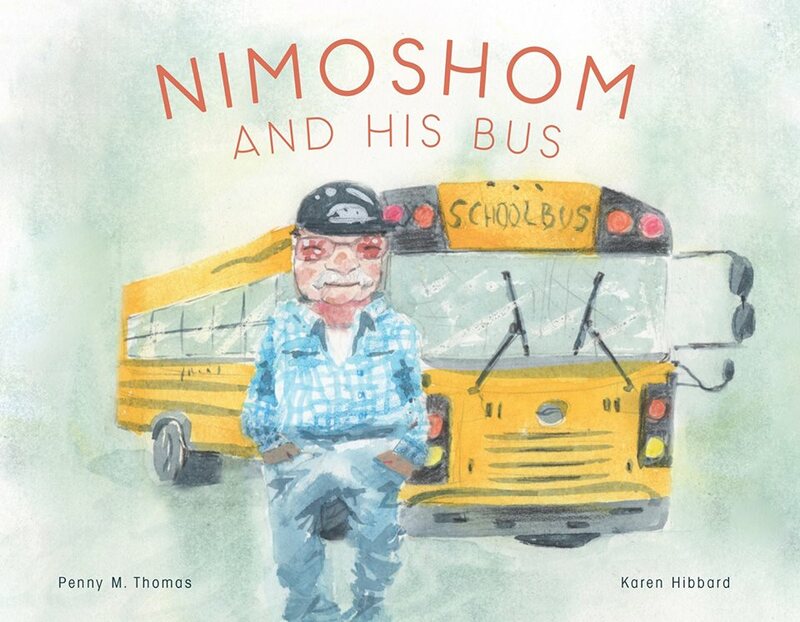 Nimoshom is a school bus driver who introduces the kids on his route to new words in Cree. 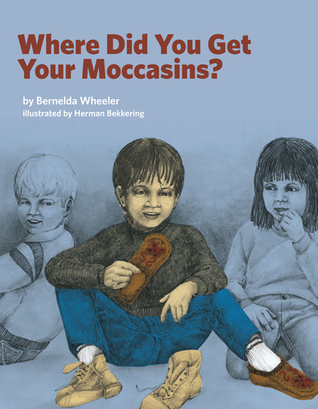 Where Did You Get Your Moccasins written by Brenda Wheeler and illustrated by Herman Bekkering. A young boy does a ‘show and tell’ talk at school about the moccasins his grandmother made for him. 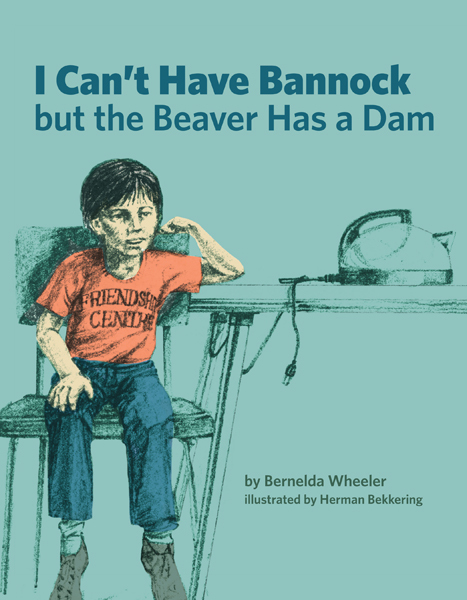 I Can’t Have Bannock But the Beaver Has a Dam is also by Brenda Wheeler and Herman Bekkering. A boy listens patiently as his mother explains why she can’t make bannock- all as a result of the beaver’s need to build a dam. 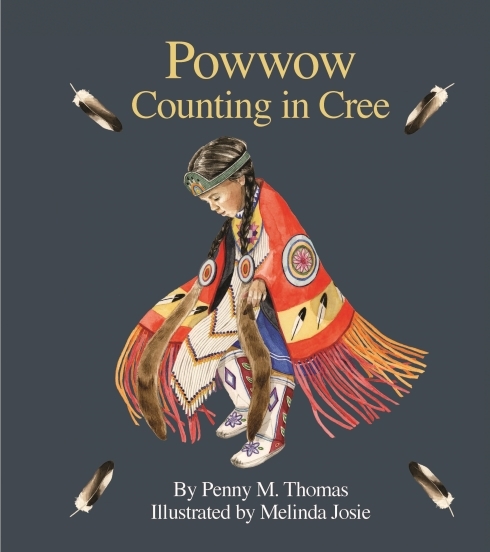 Powwow Counting in Cree by Penny Thomas and Melinda Josie is a unique book for young children that teaches counting from one to ten in the Cree language while enriching children’s knowledge of the Cree culture. I am grateful to Portage and Main Press for their donation of books to the auction. I am grateful to the Manitoba Writers Guild for staging the auction. And I am grateful to the writers and illustrators who are creating such beautiful books to help Canadian children learn about an important part of their country’s heritage. One of the pastors at my church offered a very simple solution to creating a more peaceful world in a recent sermon. He said it is time for people to step outside their comfort zones, to scatter out into places that may at least initially feel unfamiliar and uncomfortable and start getting to know people who are different than they are. It is time for us to get out of our holy huddles and make new connections that break down the polarizing stereotypes of ‘us and them’ or ‘friends and enemies’ . It is easier to hate or judge or stereotype people we have never met or haven’t taken the time to get to know. He encouraged us to scatter out into the world and get to know people and places that take us away from the familiar. Our pastor noted a direct correlation between the American states with the most hate groups and those with the highest percentage of people who do not hold passports. This doesn’t mean we have to travel abroad to get away from the familiar and break free of our complacent huddles. There are plenty of opportunities right here in Manitoba to step out of our comfort zone and really get to know people who have a different religion than ours, who are in a different age category than we are, whose native language is different from ours, whose sexual orientation is different from ours, whose culture and ethnicity is different from ours, whose economic status is very different from ours, or those who hold very different political views than we do. I pray for peace in the world every night before I go to sleep but that petition often feels hollow. I can’t just pray. I have to do something! My pastor’s words about breaking free of the comfortable circles of interaction we all naturally tend to migrate towards and pushing ourselves out into the wider world to see and experience and really get to know people who are very different than we are was inspiring. That’s something I CAN do. Why do we save our worst behavior for the people we love the most? I thought about that after I saw the movie Lady Bird. 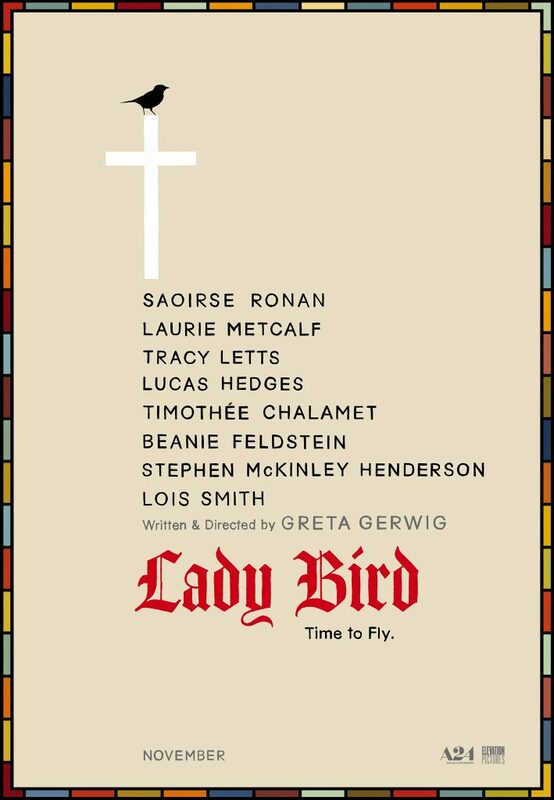 It’s the story of a girl named Christine who prefers people call her Lady Bird. She is in her senior year of high school. 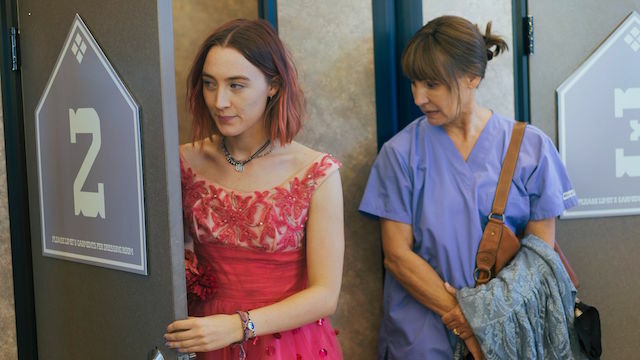 Lady Bird and her mother love each other but they disagree about almost everything. In an early scene in the movie the mom and daughter fight because the mother won’t let her daughter cook breakfast for herself even though she is perfectly capable of doing so. There is a contentious scene where their tastes clash over the selection of Lady Bird’s prom dress. Near the end of the movie the mother is angry her daughter wants to go to New York to school so she can’t bring herself to wish her daughter well or even go into the airport to say good-bye as she heads off to college. The two women just can’t seem to get along. But there are moments when their underlying love for one another shines through. When Lady Bird has a disappointing first sexual encounter her mother is there to comfort her and they spend a Sunday afternoon touring real estate Open Houses having a great time together imagining they might live in the homes they are viewing. Save for a few of these sporadic episodes of affection the two woman are diffident and contrary with one another throughout the movie bringing out their worst character traits whenever they are interacting. I am sure many audience members could identify as they considered some of their own relationships. Perhaps there is friction in their marriage relationship despite an underlying love. Perhaps there is tension in a sibling relationship despite a sense of belonging together. Perhaps there is conflict in a friendship despite an assumed loyalty. The mother in the movie is a psychiatric nurse and is so gentle and understanding and non-judgmental with her patients. Most of the time however she just can’t exhibit that same gentleness and understanding and open-mindedness with her own daughter. Why do we so often save our worst behavior for the people we love the most? He Watches, He Listens, He Thinks, He writes. 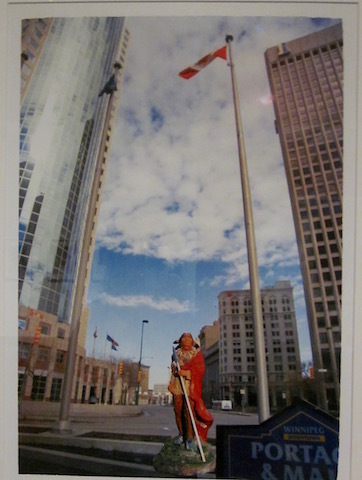 At the beginning of each tour we give at the Winnipeg Art Gallery we provide this welcome. I said that kind of acknowledgement was now common place at many Winnipeg venues. I told her I’d heard similar statements before concerts at the Centennial Concert Hall, at Winnipeg Jets games at the MTS Centre, at plays at the Royal Manitoba Theatre Centre, before morning announcements at public schools I visit and that in my church such an acknowledgment was either announced or printed in our church bulletin each week. She seemed surprised to hear this. 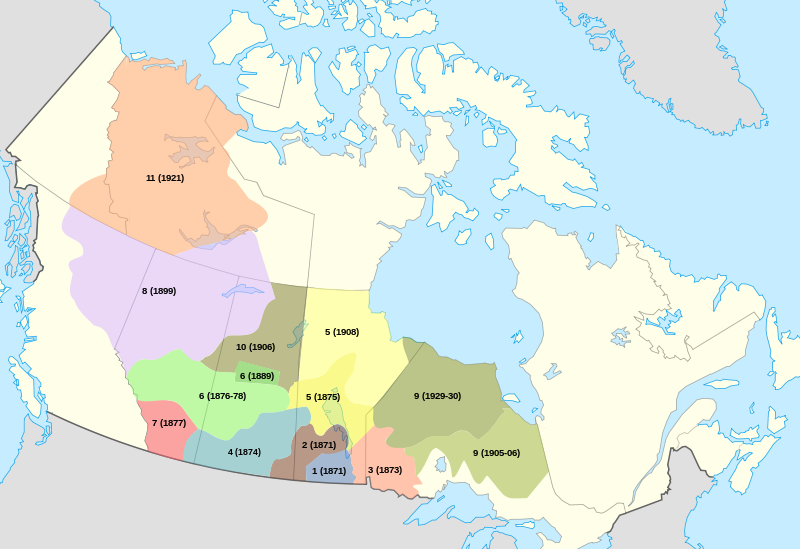 I told the woman indigenous people had lived on the land where the art gallery stands for thousands of years, long before settlers from other parts of the world came to Canada. 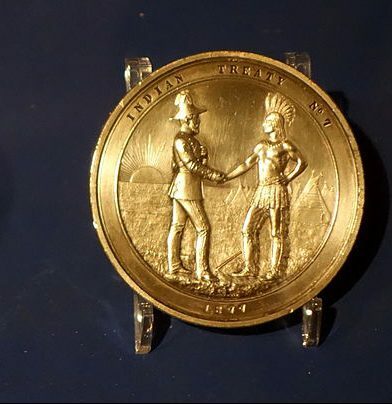 I explained the importance of respecting that and recognizing that although treaties regarding land use were negotiated with indigenous groups their understanding and the settlers’ understanding of those treaties was very different. I said acknowledging the original inhabitants of the land was a way to work towards a more respectful relationship with indigenous Canadians and to actively pursue a path of reconciliation. The woman thanked me for my explanation. She said she had learned something new. I had too because I’d really had to think about how I could best answer her question. 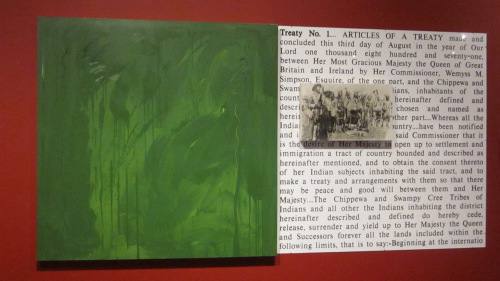 And maybe that’s exactly why we acknowledge our presence on Treaty One land before every tour at the Winnipeg Art Gallery………… because it makes us all take a moment and think about something really important.